This article was originally published on Finisher Magazine. As of 2019, I have been going to the gym for over a year now. Before that, I used to be a runner for almost 2 years, easily clocking in 7 km 4 times a week. I had run a handful of marathons to test my stamina and focus, but had I really tested my strength? In hindsight, I feel the answer to this is no because what I did on 20th January 2019 beat all other tests that I had ever taken. 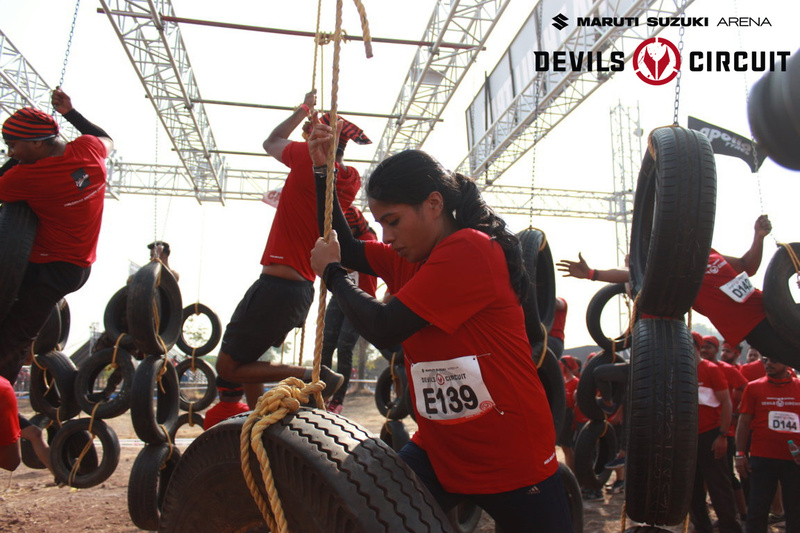 This was the day I successfully completed 13 out of 15 obstacles in India’s toughest obstacle race, the Devil’s Circuit. When I had seen the race registration details in 2018, I gave myself some time to think about it before signing up. Basically what I did was give myself enough time to lose focus and let fear take over my mind, because I did not sign up for the race last year, firmly believing that I could never do this. This time around things were different because I signed up without really thinking about what was going to happen. All that I knew was that I had to train, and train hard. I had to see if all that gym, diet, discipline and routine was of any good. I signed up knowing this would be the ultimate test of all that I had worked from over the last few years. The first obstacle required us to climb 15 feet high and then climb back down. It looked easy from the spectator stand, but I understood the intensity of this obstacle when I was halfway up the actual obstacle! 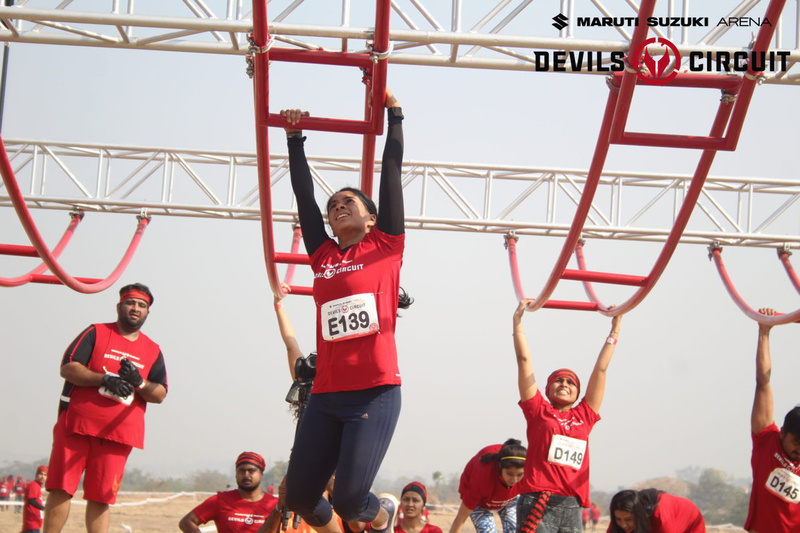 Going up on top and throwing one leg over the pole to shift your side, and then climbing back down requires a change in your centre of gravity. When this happens 15 feet high up in the air with nothing but your core to keep you stable, and when you happen to be scared of heights… Well, you know how it goes. Panic almost got the better of me. Before I threw my leg over to the other side, I wanted to shut my eyes and cry. I looked down at the mattress 15 feet below me. I said to myself- look, if you fall, you fall 15 feet on to that. You won’t get hurt but it’s better to be in control than give up. By reflex, I tightened my core and threw my leg over the pole at the top. I climbed down, happy at my performance, and jumped the last 6 feet. I ran a couple of meters before turning back to look at the obstacle and cursed loudly in celebration. I would have said no to the fourth one had it not been for people asking me to give it one try. This required you to jump up 10 feet, hold onto a bar, pull yourself up and roll over to land on top of the obstacle. All of this was happening 12 feet in the air. Not like I had some great core strength or balance or even upper body strength, but I jumped up, had a little support given to me on the back, and before I knew it I was putting my leg on the bar and rolling over to land on top. I celebrated this moment by standing there and just enjoying the view, but I also think I went wrong in doing this because I ended up looking down, got scared of the height, and literally froze on top of the obstacle for a couple of minutes. The height was intimidating. This time there was no soft mattress to cushion my fall. If I fell, I fell 12 feet on to the ground. It took me 5 minutes to climb down because I was frozen stiff with fear. Once down I ran without looking back. 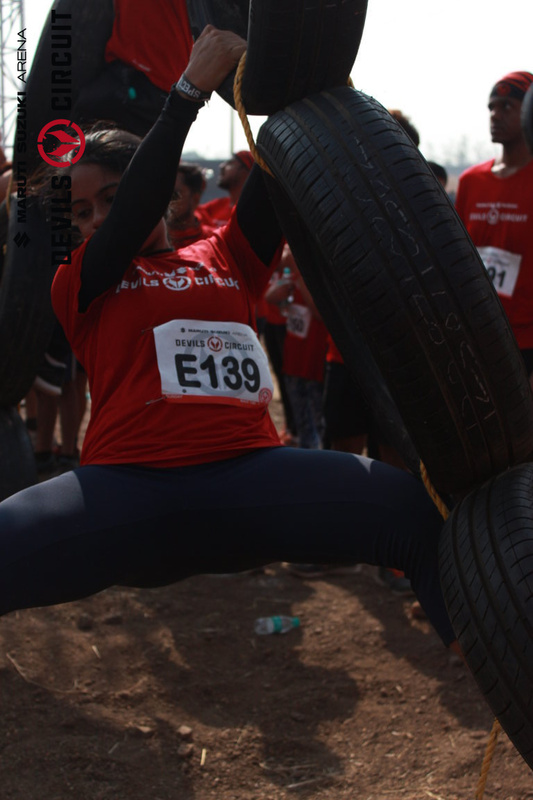 I crossed monkey bars and hanging tires, only thinking about three things: core conditioning, my centre of gravity and the fact that I had to do the obstacles because there really was no other way out of it. More importantly, this was about testing your mental strength. It is so easy to let panic overwhelm you, it is so easy to freeze, it is so easy to give up. I ended this race knowing that giving up or saying “I can’t do this” didn’t occur to me even once. The amount of self-awareness and confidence this gives you is not something that I can put into words. All that I really know is that if your mind says you can achieve something, your body makes sure you will do it. This goes for fitness and in life. I woke up the next morning a little sore, a little bruised, but a lot happy.